*Players must be 18 years old to play. You may request to play on a friends team but you will need to let us know (who? ), or name the team captain when you register. We will honor all request! 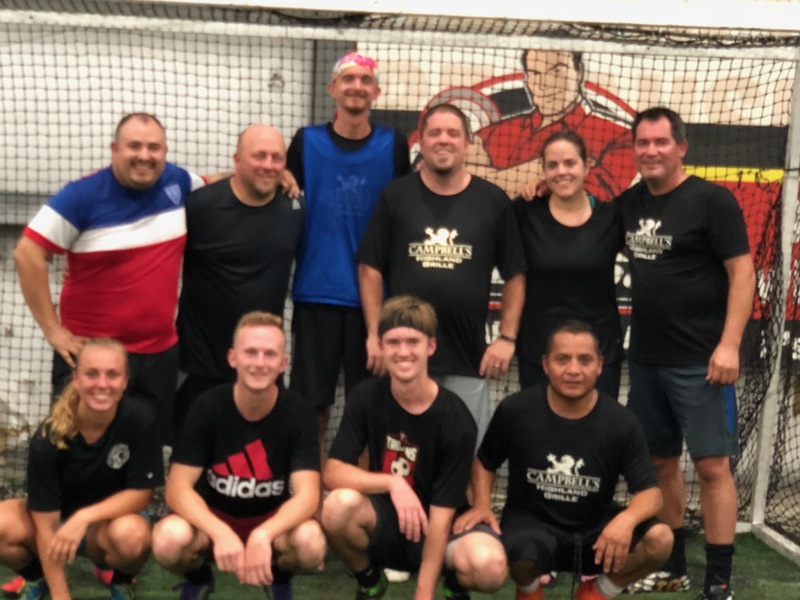 Interested to Play in our Next Adult Soccer Session? Do I Need Experience or to be in Great Shape? No, this league is just for Fun. The main purpose for this league is to get some exercise and meet new friends. What is the Cost to Play? The cost for play is $65 and this does include a team shirt. Teams will be responsible for wearing the same color jerseys. Once you register, we will place you on a team. We will honor all request to play on the team or with the players you ask to play with. Please remember to list your team captain or friend if you have a request to play on a specific team. How Many Players are on the Field During the Match? We will play 8 v 8 on an appropriate size outdoor field. We play 6 v 6 inside on our indoor field. This is a coed league so we do request for each team to have at least two females on the team at all times. When Does the League Start? Each team will play 8-10 Games depending on the number of teams that register and placement in the tournament at the end of the session.